Here you'll find up to date news on George Davies Turf Ltd.
As we move into spring, we often get tempted to think that the weather is lovely and warm. In truth, it often is when we are stood outside mid afternoon but on the last few days, I have had to scrape much ice off the windscreen at dawn! These cold nights and diurnal shifts in temperature can restrict growth and still leave the plants vulnerable to mistreatment if we are not careful. 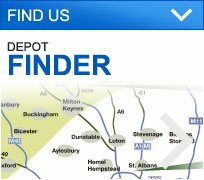 Dear All , We just wanted to let you know that we will be opening our new depot in Bicester this Friday, 2nd March. After a very dry, and often hot few months (seldom though it has been), most lawns are now showing the effects of the summer months, which can be a very difficult time for them. Whilst last week saw a fair amount of rain, and with the exception of 2 rainstorms in March and May, we have had a fairly dry period since Winter. We are now seeing better moisture levels alongside climbing humidity. Generally speaking, we can expect to see an increase in rainfall throughout August, as well as the return of overnight dew. Can you believe it's May already?! With one very dry and cold bank holiday weekend already behind us, we can see that soils have become incredibly dry and grass growth has slowed considerably. Generally speaking, we tend to say goodbye to the diurnal shift in temperature and colder nights around 1st May. We were promised much needed rain over the last week of April but as this is British weather we're talking about, the forecasts turned out to be incorrect and as a result the soils remain very dry. As we move into spring, it's often tempting to make the classic British mistake and assume that the weather is going to be lovely and warm. Winter’s gone and Spring is arriving fast. Is your grass looking somewhat drab and anaemic? Composite decking is fast becoming a popular staple across the UK, and it’s easy to see why. 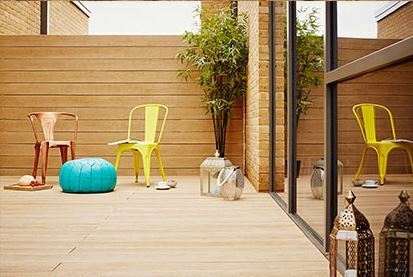 Sturdy, practical yet beautiful – composite decking seemingly has it all. However, many people still covet traditional wooden boards for their decking. Which is better? Here, we weigh up the pros and cons to help you make your decision. Helping the Butterflies & Bees! The UK's largest independent supplier of Natural Turf is pleased to announce it has added environmentally friendly Wildflower Turf to its product portfolio. George Davies Turf goes Artificial!! George Davies Turf were out racing at Silverstone this weekend!! Not in our lorries but in a single seater driven by Michael Moyers that we have part sponsored with one of our longest standing customers, GLN Landscapes. The George Davies Team were out in Force at the Olney Raft Race...and WE CAME THIRD!!!! A RECORD WEEK IN TURF SALES! First Class Turf getting rolled in every direction! When the Sun Comes Out The Turf is Out!